Long-time member of the Atlantic Coast Conference, the University of South Carolina shredded the record book when they won their second straight national championship in baseball last night in Omaha. The Gamecocks assault on the records began when they became the first team to go 10-0 in an NCAA tournament and the first since Oregon State in 2007 to go unbeaten in a CWS with Tuesday night’s 5-2 win that completed a two-game sweep of Florida. South Carolina (55-14) retooled their pitching staff, star center fielder Jackie Bradley Jr. missed two months with a broken wrist and first baseman Christian Walker played through the same injury during the CWS finals. 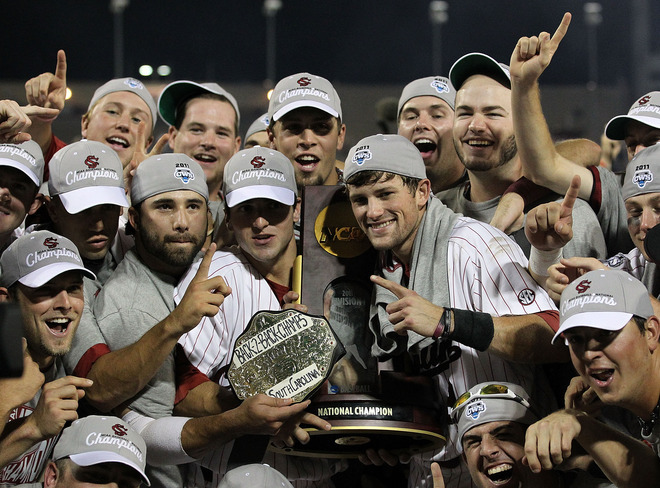 The Gamecocks have the distinction of winning the first CWS at TD Ameritrade Park after winning the last one played at Rosenblatt Stadium. South Carolina’s streaks of 16 NCAA tournament wins and 11 straight in the CWS are both the longest all-time. Three of the Gamecocks’ first four wins here came in their last at-bat and included incredible pitching and defensive performances in the late innings. 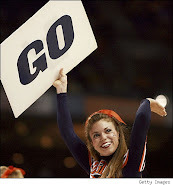 The ACC regular season and tournament champs…WHAT???!???!?!?!? ACC Commissioner John Wofford still hasn’t gotten South Carolina back into the ACC…WHAT?!?!? What has he been doing all these years – counting parking tickets in Chapel Hill? Boston College is still in the ACC??? WHAT?!?!? !